Wow! Look what just arrived at the shop! 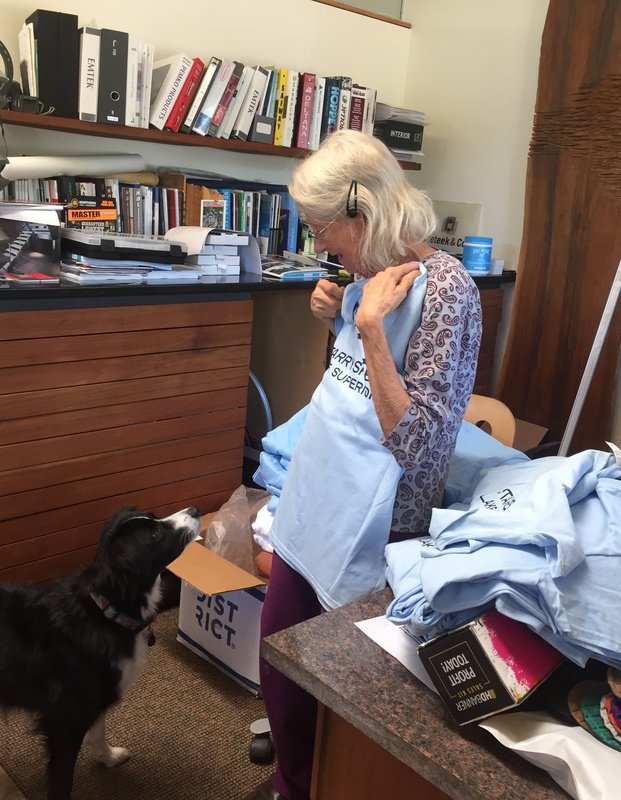 We received quite the surprise when two boxes of Starry Skies Lake Superior T-Shirts arrived in a variety of styles and colors! Thanks to Knife River Outfitters, another one of the stellar sponsors of Celebrate the Night Sky Week coming up September 16-22! We are really excited about all the fun and fascinating upcoming events for Celebrate the Night Sky Week September 16 – 22! Show your support and and enthusiasm in Starry Skies apparel. Shirts and caps were popular last year and more colors and styles are available this year! 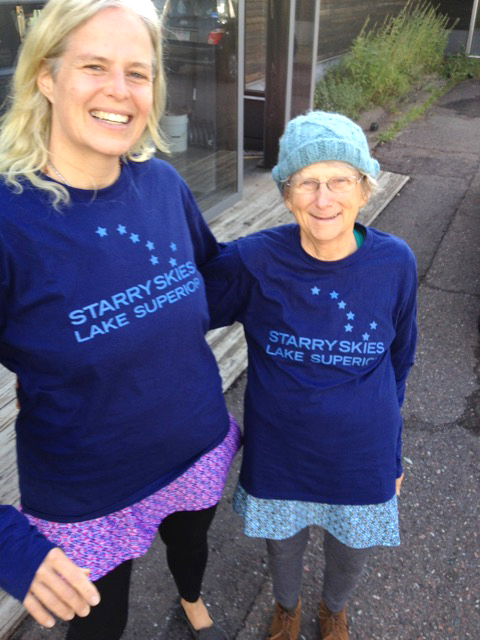 You can get your Starry Skies clothing at most events, or come prepared dressed in current fashions from the Starry Skies Lake Superior website here. Want to try a few shirts on for size? We have women’s and unisex long sleeve and short sleeve styles are available. All are made of 100% preshunk cotton. 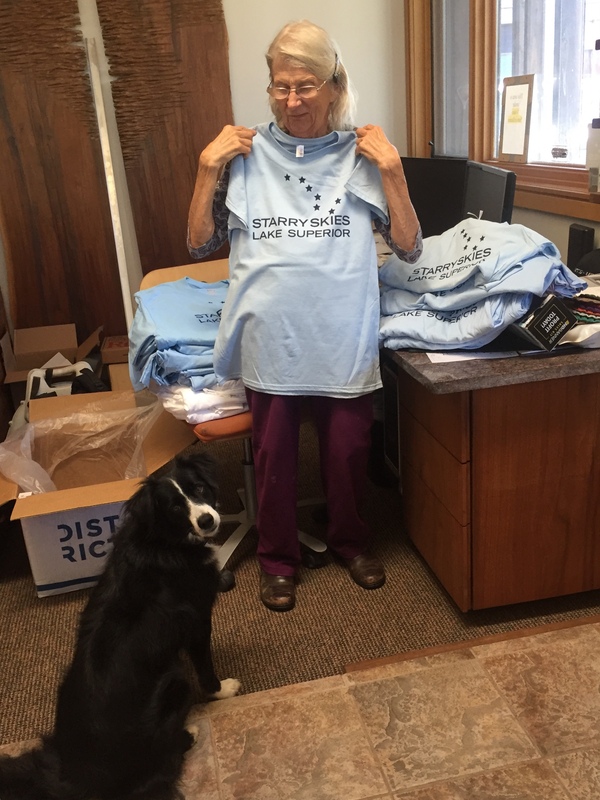 Visit the Starry Skies Lake Superior website, or stop by and pick yours up today!